Is it legal to own an still in Florida? What is the legal penalty for owning an unauthorized still in Florida? 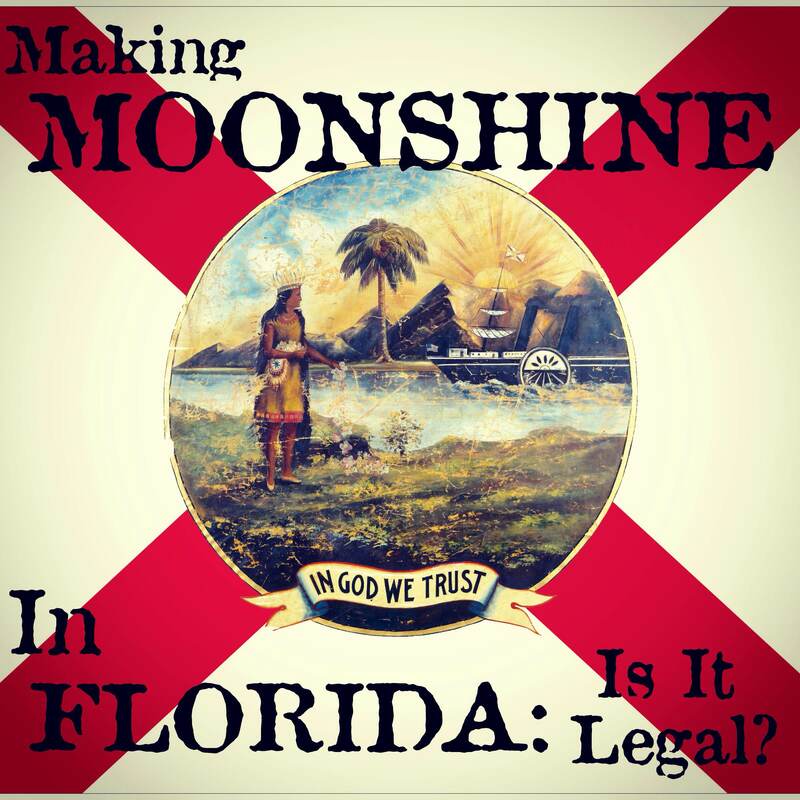 Is it legal to make moonshine in Florida? What is the penalty for selling moonshine in Florida? Is a fuel alcohol permit available in Florida? Is it Legal to Own a Still in Florida? No. Florida Statutes Section 562.27 provides that “It is unlawful for any person to have in her or his possession, custody, or control, or to own, make, construct, or repair, any still, still piping, still apparatus, or still worm, or any piece or part thereof, designed or adapted for the manufacture of an alcoholic beverage, or to have in her or his possession, custody or control any receptacle or container containing any mash, wort, or wash, or other fermented liquids whatever capable of being distilled or manufactured into an alcoholic beverage, unless such possession, custody, control, ownership, manufacture, construction, or repairing be by or for a person authorized by law to manufacture such alcoholic beverage….”. The wording of this provision doesn’t refer to the equipment being “used or intended to be used” for alcohol production, it uses the words, “designed or adapted for the manufacture of an alcoholic beverage”, which is substantially different. That’s what our lawyers tell us, at least. If the words “used or intended to be used” for alcohol production were included in this statute, then the equipment would have to be found actually being used for that purpose; or alternatively, some acts evidencing intent to use it for that purpose would have to be proven. However here, the statute just requires that the equipment be “designed or adapted” for such purpose. Neither ‘actual use’ nor ‘intent to use it’ is necessary for there to be a violation. This statue makes it much easier for prosecutions. The wording of the statue does seem to provide some room for distilling alcohol for fuel. Although a Florida state fuel alcohol permit does not exist, one could possibly make an argument that their still was designed for the production of fuel alcohol if they also possessed a federal fuel alcohol permit, and followed the federal rules and regulations associated with that permit. Penalty for Possession of an Illegal Still? Florida Statutes Section 562.27 provides that violation of this statute is a 3rd Degree Felony and for such Felony Florida Statute Section 775.082 provides for imprisonment for up to five years and Florida Statute Section 775.083 provides for a fine up to $5,000, or both. Can property be seized such as the distillation equipment or other personal property? Yes, to a limited degree. In addition to the actual still equipment itself, Florida Statutes Title XXXIV, Section 562.27(4) provides that the raw materials used for making illegally distilled alcohol can be seized and Section 562.27(6) provides that any vehicle, vessel or aircraft used in transporting or removing any such illegal distilled alcohol is subject to seizure. Is it a requirement to report to State agency if you own or build a still? The only requirement to report would be to obtain a License. The Florida Division of Alcoholic Beverages & Tobacco receives applications for Licenses. Is it Legal to Distill Alcohol in Florida? No, it is not legal to distill alcohol for personal consumption in the state of Florida. Making and possessing moonshine is illegal. Possession of unlicensed alcohol is a felony over one gallon and a misdemeanor under that amount. 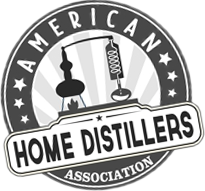 Commercial distillers permits are available in Florida. It’s called a Craft Distillery License and costs about $4,000 in fees. Find more information in Florida Statutes Section 565.03). Look for Application Form # ABT-6001. Possession of unlicensed alcohol is a felony over one gallon and a misdemeanor under that amount. Possession of unlicensed alcohol is a felony over one gallon and a misdemeanor under that amount. The penalty for selling moonshine in Florida is roughly the same as the penalty for possession. If sold without a license, you’re looking at a $100 fine for not registering and not paying the license fee. If the liquor exceeds 153 proof, the fine is an additional $1,000. However, if caught selling, fines for possession and for selling could be applied. Additionally, the Florida state government reserves the right to confiscate personal property (such as vehicles) used for the transportation or even storage of illegal “moonshine whiskey.” Florida Statute Section 775.082 provides for imprisonment for up to five years and Florida Statute Section 775.083 provides for a fine up to $5,000, or both. Are there separate penalties for distilling alcohol illegally vs. selling alcohol illegally? There are various administrative fines for illegally selling any alcohol that applies to many retail situations and could, no doubt, be applied to selling illegally distilled alcohol as well. There does not appear to be a separate ‘selling unlicensed distilled alcohol’ provision. The general penalties for distilling alcohol illegally and for selling alcohol without paying the taxes on it, would seem to be the penalties also associated with selling it. Yes, for limited projects. There is a new Florida law granting incentive tax credits for ethanol and other renewable energy production and permits have been granted for projects. There are also various statutes exempting denatured alcohol production from certain taxes. The permitting agency is apparently the Florida Department of Revenue. Create account or sign in to post a comment.